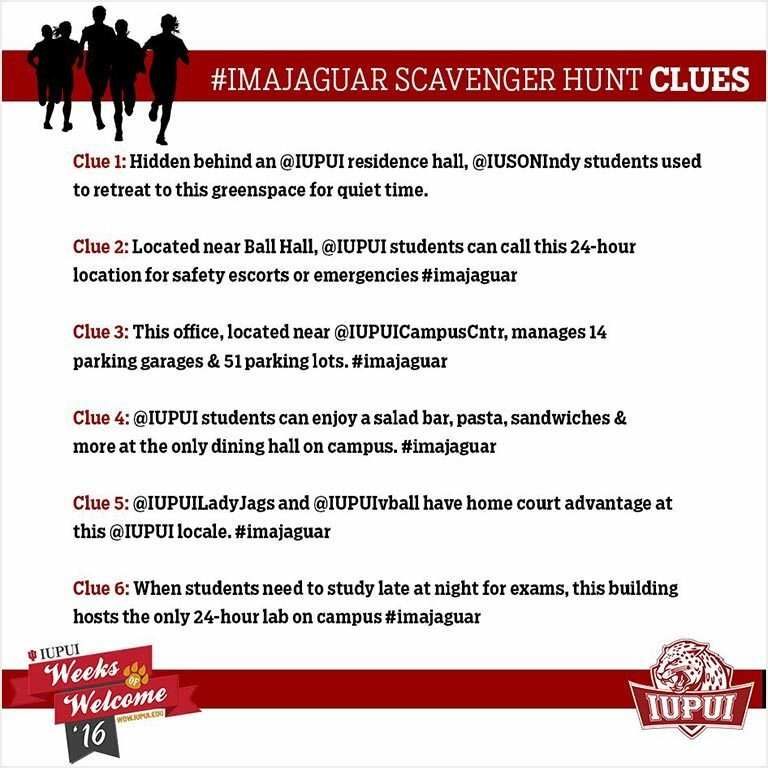 The #ImAJaguar Social Media Scavenger Hunt invited students to discover the IUPUI campus through clues posted at various times on Facebook, Twitter, and Instagram on Sunday, August 21, 2016. 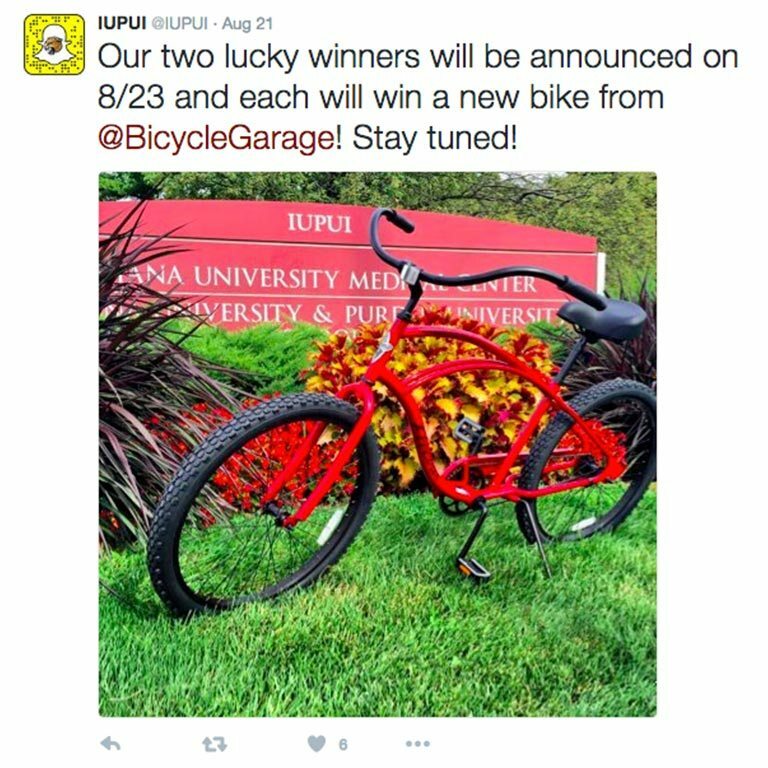 Followers had the chance to win free swag and the ultimate grand prize—one of two Electra Cruiser bicycles from BGI: Bicycle Garage Indy—if they posted a photo of the correct spot using the hashtag #ImAJaguar. Grand prize winners were chosen from the followers who snapped the most correct photos. Winners were announced August 23. Six clues were posted during a two-hour time period that directed students to a specific person, place, or thing on campus. At each location, a manned station with #ImAJaguar signage and free Jag Swag let them know they guessed correctly. 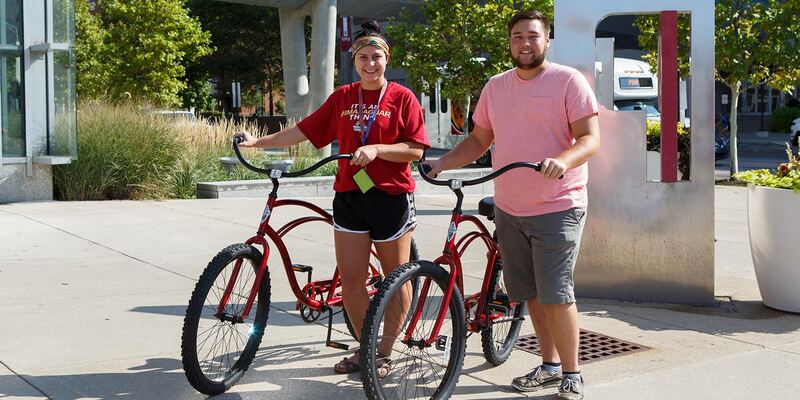 Winners of the #ImAJaguar Scavenger Hunt were Brandon Slaton and Taylor Hobbs.